Want to master Linux? 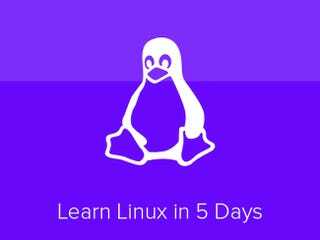 Right now, you can save over 90% on 6 actionable training courses and learn the ins-and-outs of the Linux OS. The Linux Learner Bundle has a range of content tailored for both Linux/UNIX beginners and experts alike. You’ll get a comprehensive, working knowledge of all things Linux - from setup to security - with 50 hours of in-depth instruction.The combined cost of all 6 courses is over $600, but you can get the whole bundle for just $49 - that’s 91% savings. If you’re just curious about Linux or want to brush up your skills on this flexible operating system, don’t miss out on this great eLearning bundle. You’ll have lifetime access to all courses so you can go at your own pace. You also get a 30-day money back guarantee if you’re not satisfied. To get started, head for the link below.